Lombardi, M., Ragab, E., Chin, V., Dandurand, Y., de Divitiis, V. , Burato, A. Although violent extremism is not a new phenomenon, it is increasingly recognized as a major challenge of our times. The recruitment of foreign fighters by extremist organizations, and its potential impact on public safety in the countries from which they come, is also emerging as a complex issue at the forefront of international preoccupations. 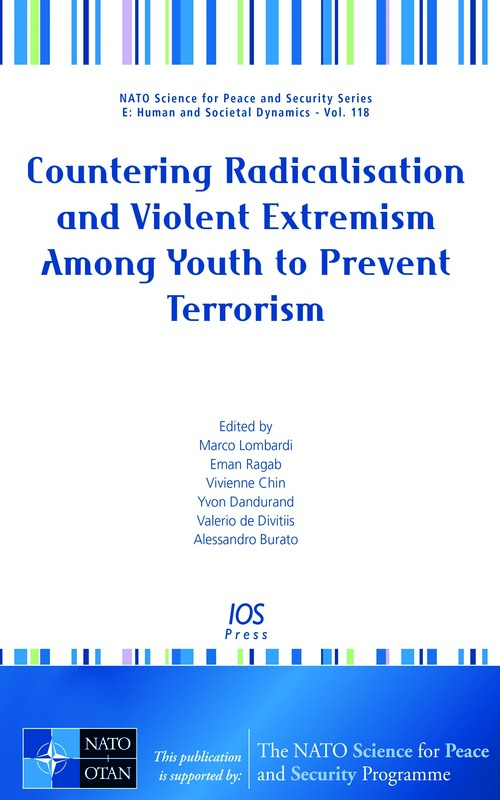 This book presents the proceedings of the three day NATO Advanced Research Workshop, "Countering Violent Extremism Among Youth to Prevent Terrorism", held in Milan, Italy, in June 2014. The best way to respond to violent extremism in general, and the radicalization of disaffected youth in particular, is far from clear, but the stakes are so high and the potential threat to countries worldwide so great that inaction is not an option. The goal of the workshop was to enhance the capacity of policymakers and practitioners to design strategies that will achieve verifiable human-rights based outcomes to counter violent extremism. Subjects covered in the 19 papers which go to make up this book include: the causes or drivers of violent extremism; the factors which facilitate the recruitment of youth by violent extremist groups; the risk of growing Islamophobia in some Western and Central European countries; and proactive measures to counter the radicalization of youth. The book will be of interest to all those involved in policy development, prevention programs, de-radicalization programs or research aimed at countering violent extremism and the radicalization of young people.